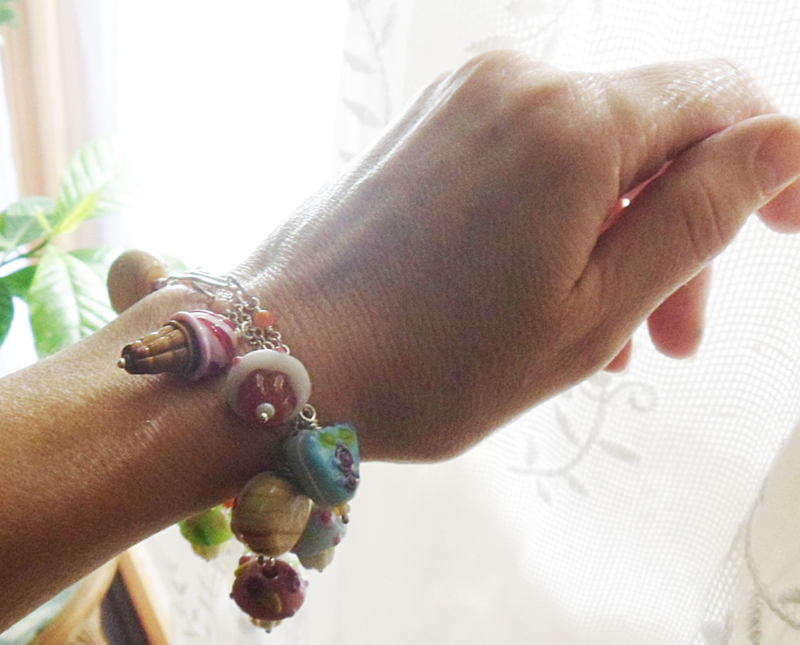 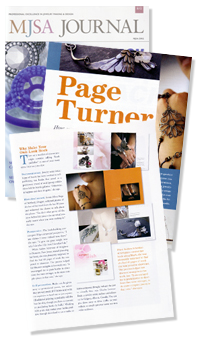 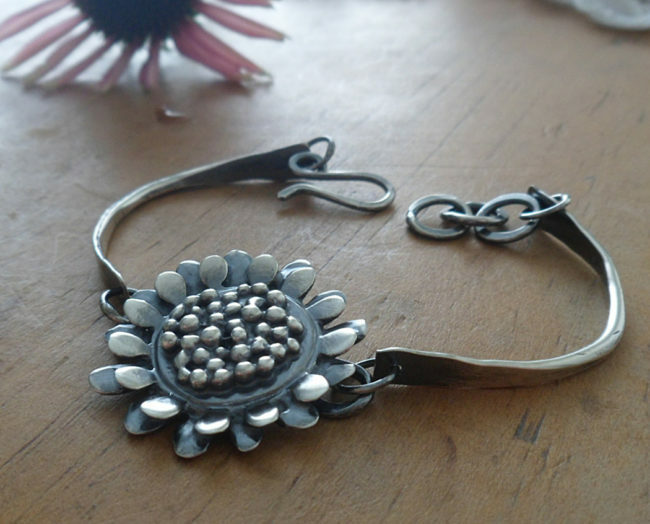 This bracelet as shown is a standard 7 1/2″ women’s size. 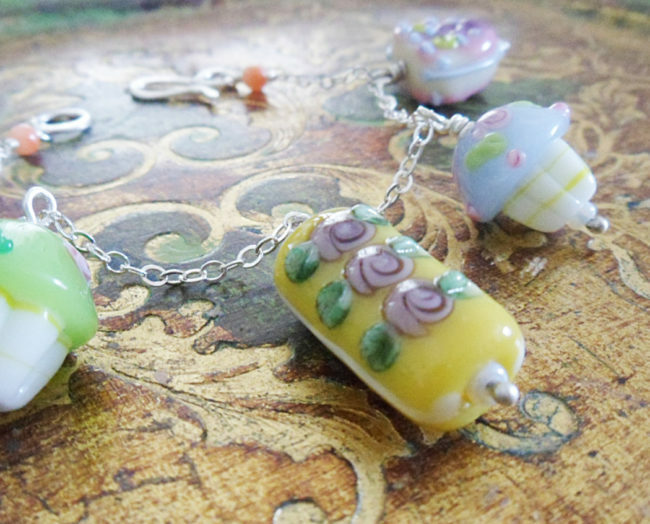 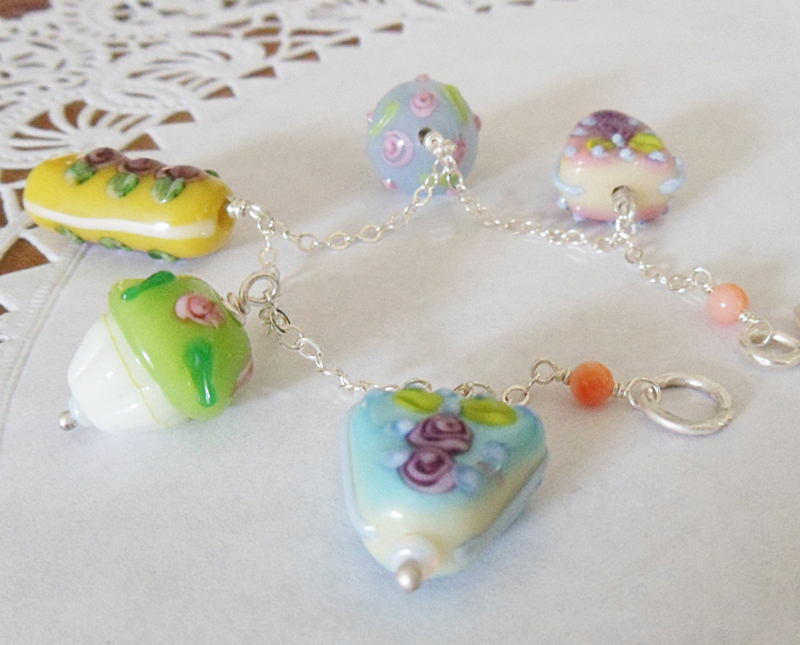 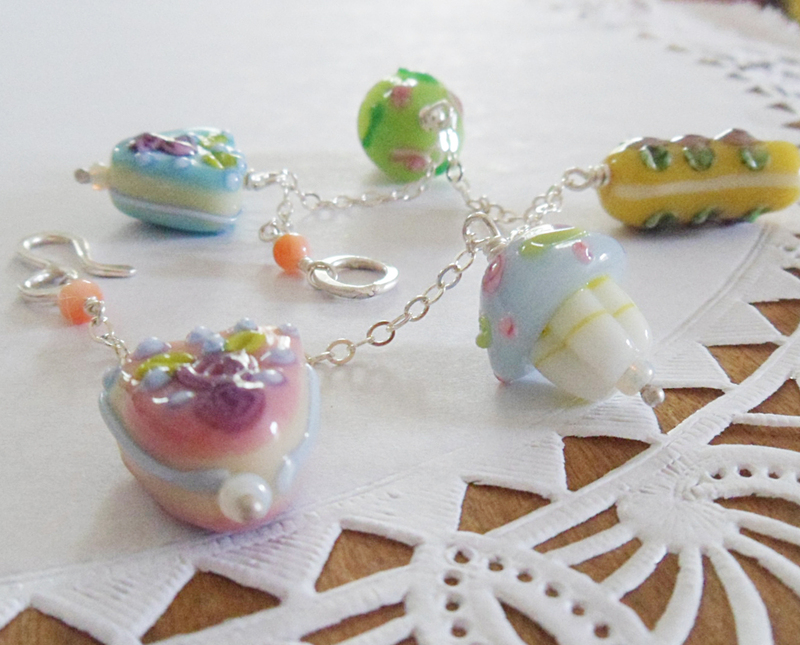 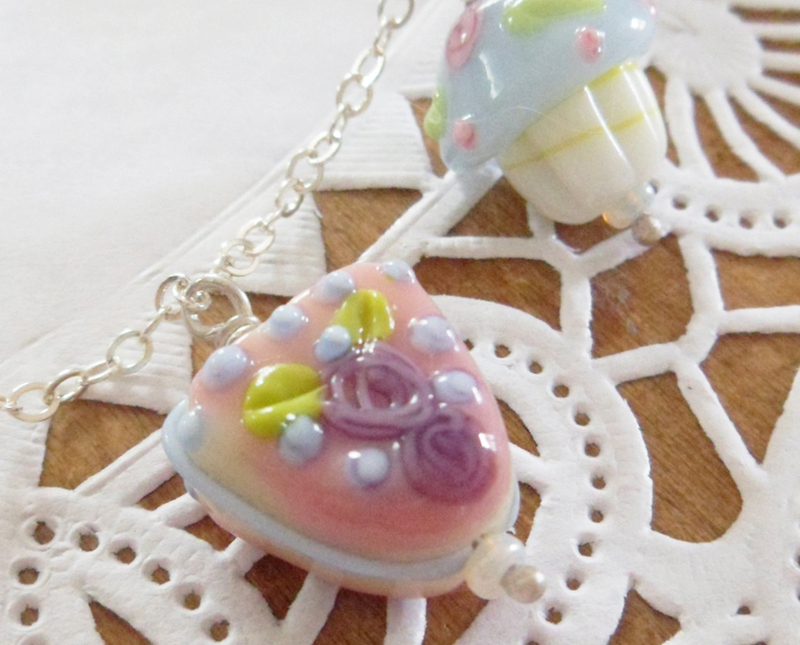 The silver chain holds 5 assorted glass lamp work cake beads: cupcakes, cake slices, and lemon filled pastry, all in pretty shades. 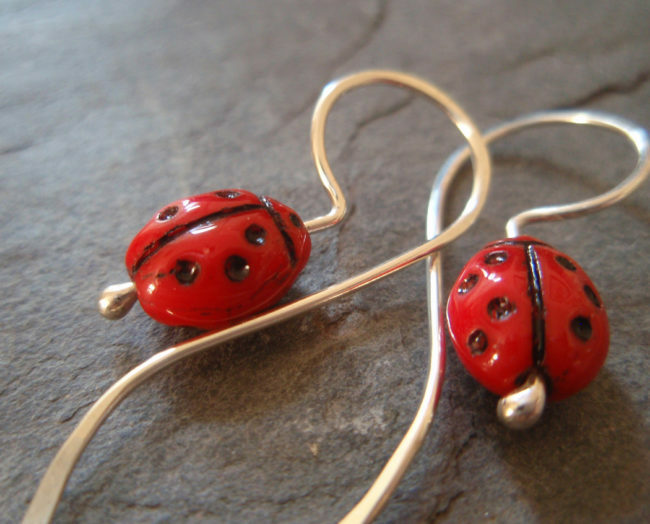 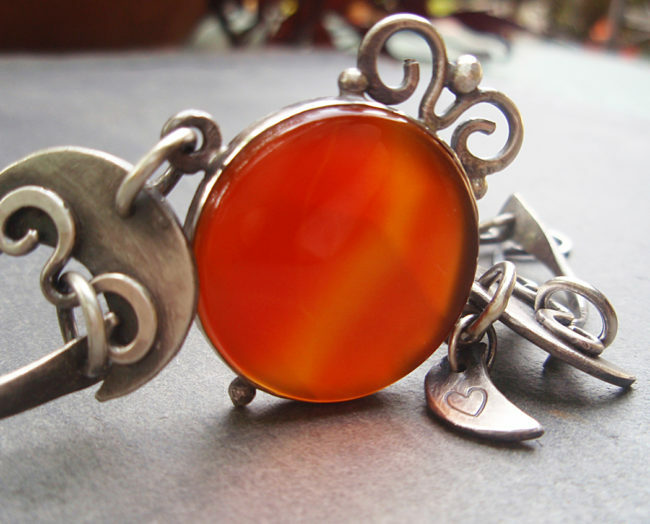 The hand made silver clasp is accented with a small peachy coral bead. 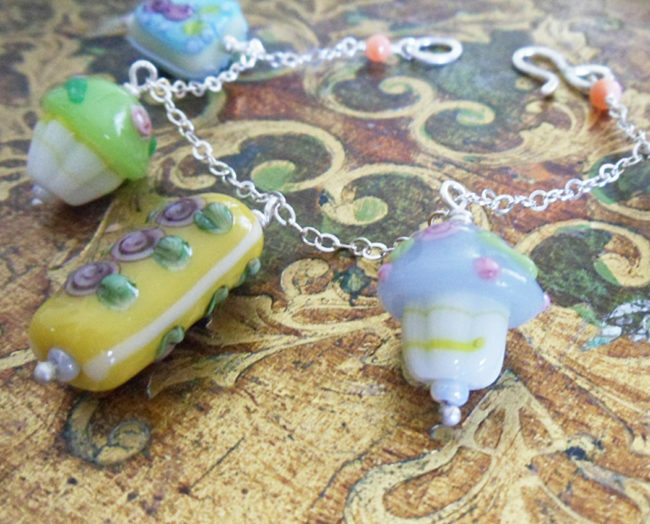 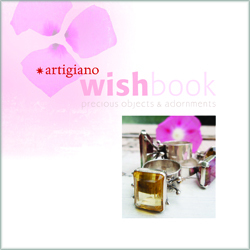 The last photo shows multiples of these stackable treats, but this listing is only for the assorted cakes bracelet shown. No calories.